In various interviews over the past 35 years Charlie Watts has expressed admiration for the talents of many drummers. But the fundamental connections of those he has noted as his favorites, help define his particular style, approach, and priorities as the drummer for the �Greatest Rock & Roll Band in the World.� Here then, are 26 biographies of Charlie Watts� favorites drummers. Included are Art Blakey, Chico Hamilton, Art Taylor, Phil Seamen, Ginger Baker, Jerry Allison, Papa yetJo Jones, Jim Keltner, Kenny Clarke, Davey Tough, Billy Higgins, Elvin Jones, Roy Haynes, Jake Hanna,, Tony Williams, Max Roach, Joe Morello, and Big Sid Catlett. 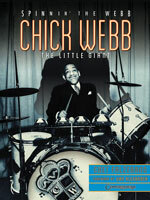 Chick Webb�s short professional career (he died at 30) served as an inspiration to young drummers at the dawn of America�s big band/swing era. Simply stated, Webb is the guy who inspired the guys, who inspired the guys, who inspired you. Gene Kurpa: �Chick taught me more than anyone.� Buddy Rich: �as a soloist, Chick had no equal at the time.� Papa Jo Jones � I don�t speak of Chick Webb, the drummer, I speak of Chick Webb, the epitome.� And Webb accomplished this as a black man crippled with a debilitating disease in a segregated society. His contributions as a drummer/bandleader changed the course of music in America, not the least of which was discovering Ella Fitzgerald. Author Chet Falzerano chronicles Webb�s greatness in this celebration of the �little giant� including the recreation of Webb�s drum set. For 50 beloved traditional tunes, readers will learn the story of how the song came to be, the author and the historical setting, then be able to play a great arrangement of the song! 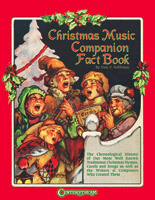 Songs examined include: Away in a Manger, Deck the Halls, Jingle Bells, Joy to the World, O Christmas Tree, O Holy Night, Silver Bells, We Wish You a Merry Christmas, What Child Is This?, and more! by Steve Evans and Ron Middlebrook, foreword by Roy Rogers, Jr.
Back in the good old days, all of America was infatuated with the singing cowboys of movies and radio. 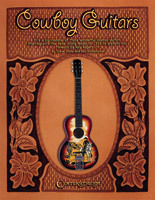 This huge interest led to the production of "cowboy guitars." 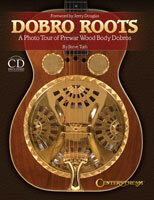 This fun, fact-filled book is an outstanding roundup of these wonderful instruments.